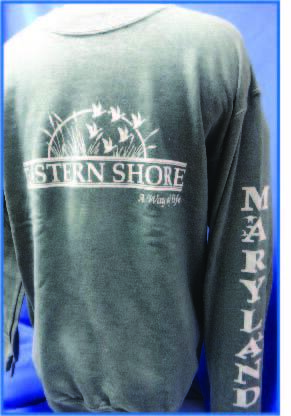 Eastern Shore Crew Sweat shirt imprint Eastern Shore Way of Life full front and Maryland on the left sleeve. 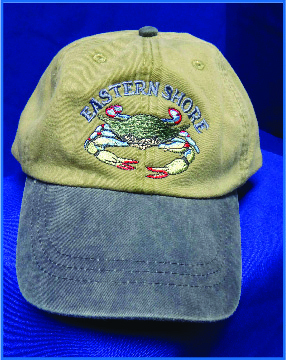 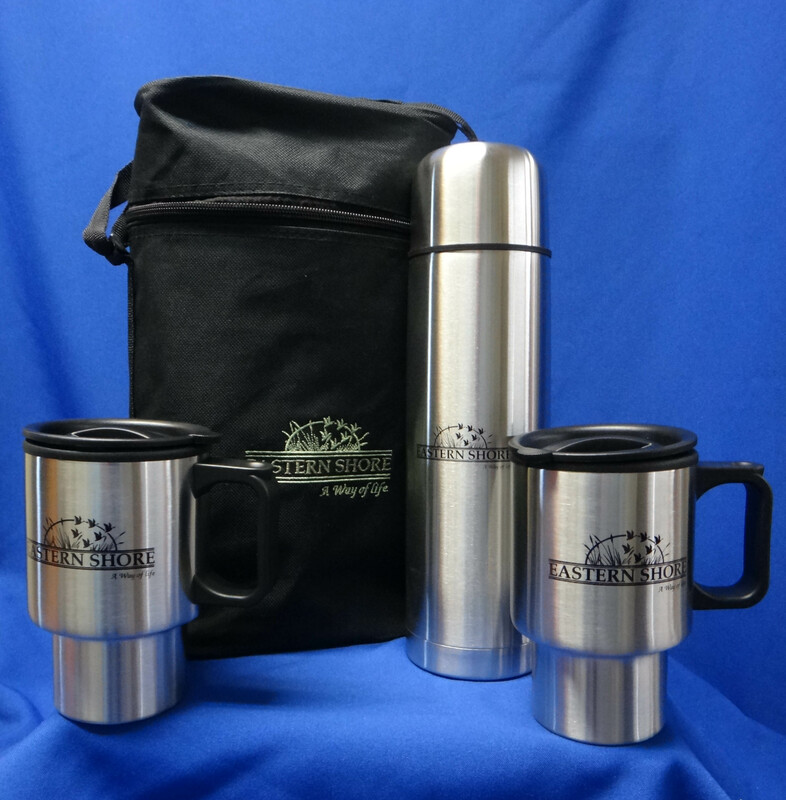 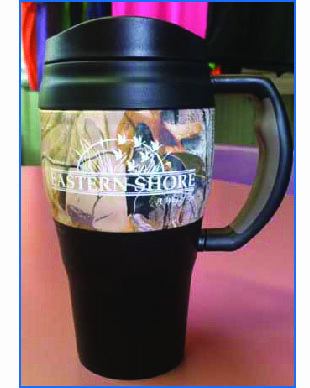 7.75 oz blend 50% polyester and 50% cotton. 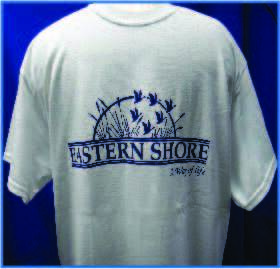 Sizes small through 5 XL’s.